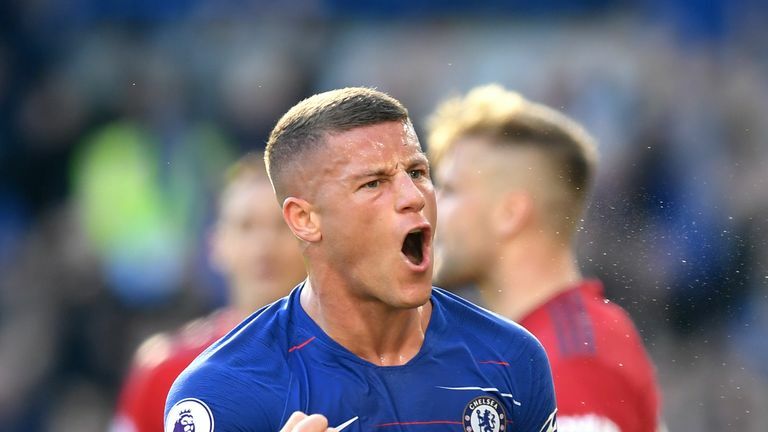 Substitute Barkley turned home in the 96th minute from close range, prompting Chelsea second assistant Marco Ianni to run across Mourinho's path in celebration, which angered the United manager and in-turn sparked scuffles on the sidelines and in the tunnel. Chelsea had taken the lead through Antonio Rudiger's header from Willian's corner (21) thanks to some suspect marking, but United equalised after the break as Anthony Martial finished fiercely from close range following pinball in the box (55). Martial then struck again to stun Chelsea (73), curling into the bottom corner from inside the box following a swift counter-attack, before Barkley's last-gasp leveller caused an eruption on the sideline. Juan Mata was a surprise inclusion in Mourinho's side, and though they started solidly enough, one defensive lapse had Chelsea ahead midway through the half. Chelsea: Kepa (6), Azpilicueta (7), Luiz (5), Rudiger (7), Alonso (5), Jorginho (6), Kante (6), Kovacic (6), Willian (6), Morata (5), Hazard (7). Subs: Pedro (5), Barkley (7), Giroud (6). Manchester United: De Gea (7), Young (9), Lindelof (6), Smalling (7), Shaw (6), Matic (7), Mata (8), Pogba (7), Rashford (7), Lukaku (6), Martial (8). Subs: Herrera (6), Pereira (6), Sanchez (6). From Willian's corner, Rudiger found himself free of Paul Pogba, directing a fine header into the bottom corner from 10 yards. Pogba ranted and raved, seemingly claiming Victor Lindelof's own marking of David Luiz had blocked his path to stick with Rudiger. For Chelsea, Ross Barkley dropped to the bench alongside Olivier Giroud. Alvaro Morata came in after his goal against Southampton. There were two changes for Man Utd; Victor Lindelof came in for Eric Bailly, and Juan Mata replaced Scott McTominay. United went 55 minutes without a shot on target, before two in 20 seconds resulted in an equaliser. First, Mata's deflected effort was well beaten away by Kepa Arrizabalaga, but after the ball was turned back goalwards by Ashley Young and deflected into Martial's path, the Frenchman made no mistake from 10 yards. David Luiz's unmarked header from a Willian cross was then glanced wide, N'Golo Kante forced a fine save from David de Gea 20 yards out, but United then broke to take the lead. 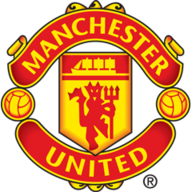 Mata found himself free on the right, squaring to Marcus Rashford and then onto Martial, who curled a fine effort into the far bottom corner from 15 yards. United looked sure to claim all three points until the late drama; first Luiz hit the post with a header, Rudiger's follow up was superbly saved by De Gea, before Barkley drove into the goal with ease. There were wild celebrations among Chelsea fans, but a nasty scene on the touchline. Chelsea coach Ianni burst out of the bench and pumped his fists in Mourinho's face, prompting the manager to go after him in the tunnel. 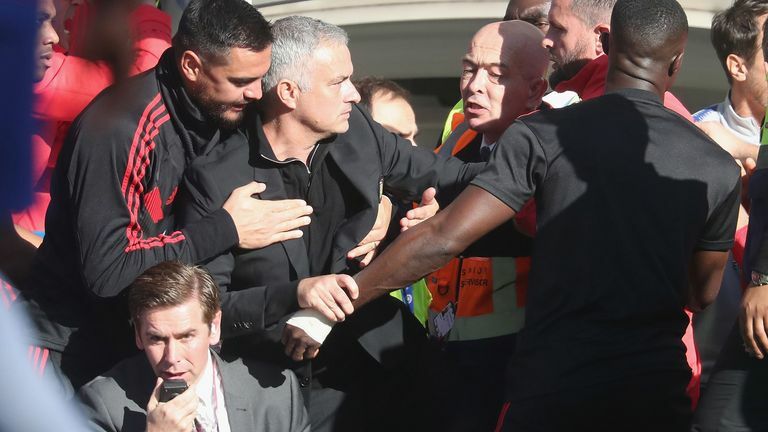 A few minutes passed before the situation calmed, and Mourinho then shook hands with Chelsea boss Maurizio Sarri, explaining what had happened. Maurizio Sarri: "I've seen the match from the bench, and now I have to study it. I thought we played a very good first half, but weren't very good in the second half. "We have not played our football, and in a physical match United were better than us. It's better to learn in training than in a match, but the match after the international break is always very difficult. The players go to play in another team, another football, another target, then they come back and they're still in other situations." On the late fracas: "If I spoke with the member of staff and I have to be very hard, then I cannot come here and tell everything, otherwise with my staff I am not credible. "I am not really happy. After I spoke to Jose, I understood we were on the wrong side of the situation." 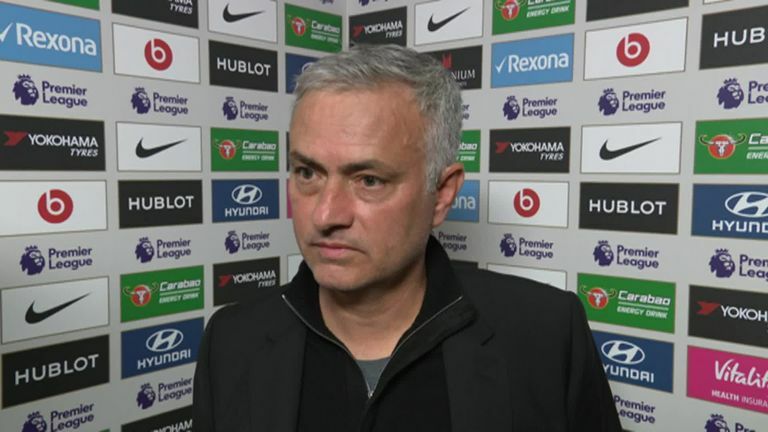 Jose Mourinho: "We were the best team on the pitch. If you say before the match that we'll get a point at Stamford Bridge, that's a good result because it's so difficult for teams to win here. "After the game, the way the game was, it's an awful result for us and phenomenal result for them. 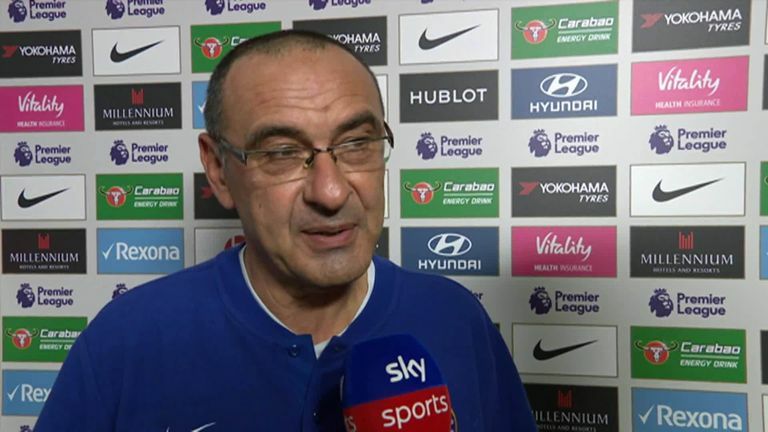 "I'm not annoyed with anything, and what happened was with Sarri's assistant, and Sarri was the first one to come to me and say he would resolve the problem internally with him. "After that, his assistant came to me in Sarri's office and apologised, and I said if he really felt it that way, of course, I accept. Forget it, because I also made lots of mistakes in my career." Young had one of the toughest jobs in the Premier League in dealing with Eden Hazard and the Belgian could not get the better of the full-back for most of the afternoon. Things got even more difficult for the 33-year-old with a first-half booking, but he made more tackles (5), more interceptions (5) and regained possession more times (10) than anyone else on his team. Chelsea have lost just one of their last 17 home Premier League games against Manchester United (W10 D6 L1), a 2-3 defeat in October 2012. Chelsea are unbeaten in their last 65 Premier League games at Stamford Bridge in which they've been ahead at half-time (W54 D11), last losing against Arsenal in October 2011 (5-3). Ross Barkley's goal was the latest Man Utd have conceded in the Premier League since October 2009, when David Ngog also scored against them at 95:27 for Liverpool. Chelsea's Ross Barkley has scored in consecutive Premier League games for the first time since November 2015 for Everton. 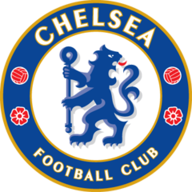 Chelsea now host BATE in the Europa League on Thursday night, before going to Burnley at 1.30pm on Sunday. United host Juventus in the Champions League on Wednesday, and are then at home to Everton on Super Sunday at 4pm, live on Sky Sports Premier League.